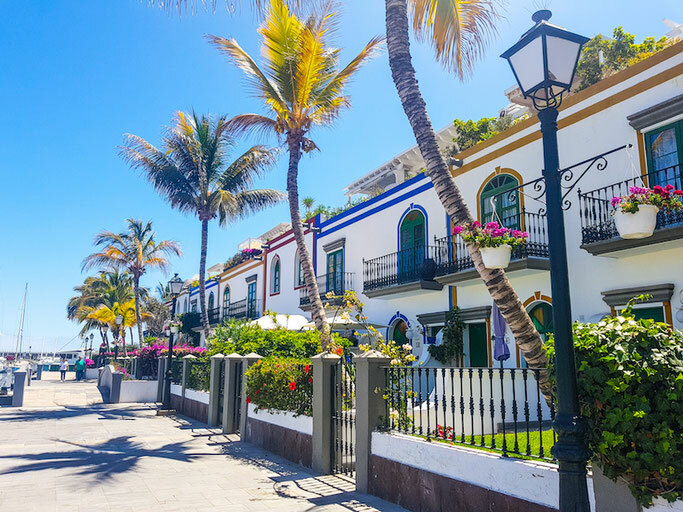 Incredibly, Gran Canaria’s (and Spain’s!) first dive-centric resort was only opened in May 2018. The vision from the team at Blue Explorers was to not only create a fantastic resort dedicated to those visiting the island for diving, but to ensure that the complex progressed their environmental stewardship and operated as sustainably as possible. The resort itself is purposefully small and intimate with 14 one and two bedroomed apartments, all tastefully themed after local dive sites. Guests are asked not to bring any products containing microbeads into the complex and you certainly won’t find any single use plastic cups or bags. With an innovative free-refill scheme on their “Chilly” water bottles (get one, they’re great), and cute baskets everywhere for recycling it’s obvious that a lot of thought has gone into the little things, I mused as I sipped my cocktail through an edible candy straw. Each of the rooms (with their energy saving air con units) have a balcony overlooking a covered pool so even on a rare day when it’s not so sunny, confined water skills and DSDs are still enjoyable in the naturally warmed bath-like conditions. Underneath the pool and patio area, in a beautifully cool and cavernous basement lies a huge dive centre with a massive washing and drying area complete with 3 dunk tanks, vast rooms for rental equipment and an aladdin's cave for expensive cameras and tech gear as well as all amenities such as showers and lockers. There is also the Reef Bar and Grill on site, which produced quite possibly some of the best food I’ve ever had. Not only is the chef fabulous, but the service is amazing and there is nothing the team can’t do for you. Relationships have been created with local farmers and nearly all their food is sourced within 20km. Ripe tomatoes that farmers can’t and won’t export to the Supermarkets of Europe are brought here to be turned into quirky varieties of home made tomato ketchup rather than going to waste. Local fishermen bring in sustainable species of line caught fish each morning which goes onto that evening’s menu - here it’s the season that dictates what you eat. All meat is organic, the eggs free-range and herbs are foraged, it’s exquisite. 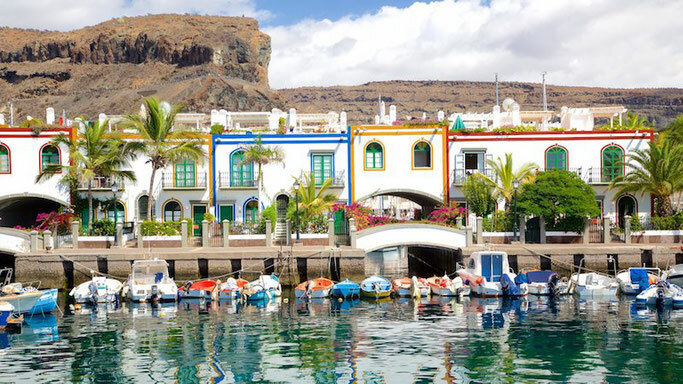 Gran Canaria is one of the few places where there is no season for diving, it is great all year round. 300 days of sunshine a year coupled with little rain make it perfect for a summer holiday or a winter getaway. Water temperatures range from 18/20°C in February, to 22/24°C in September, so pack your 5mm wetsuit and hood. 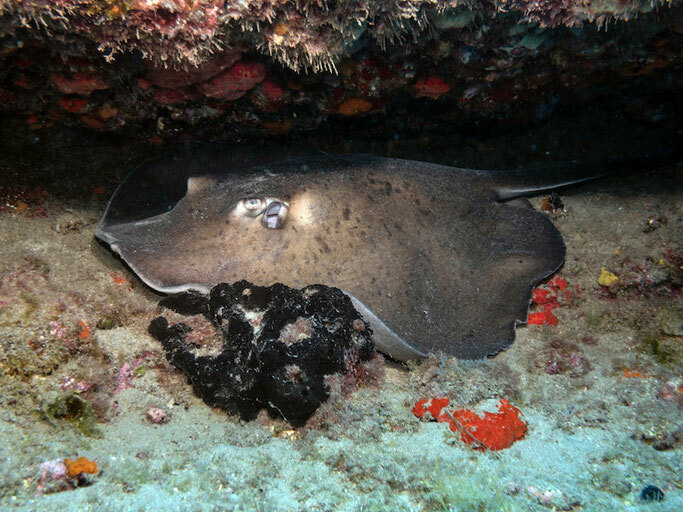 Visibility is also fantastic year round, with an average of 30m across all dive sites. 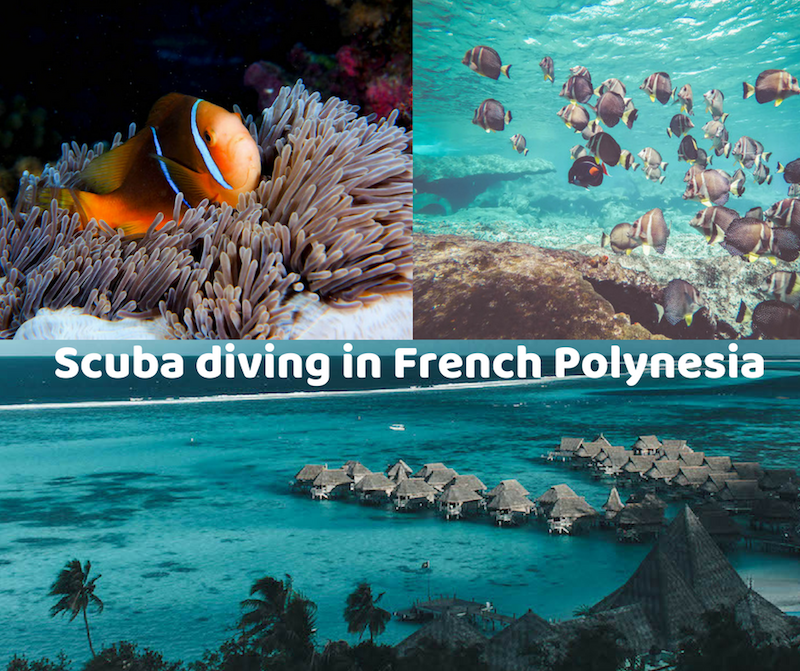 Most diving is from small speed boats with 5-10 divers on board which combined with little current, make for chilled out and comfortable dives. A large flat oval platform, only 5-10m high from the sandy sea floor can at first glimpse look a bit bare with it’s lack of plant life but rest assured that first impressions are deceiving at Pasito Blanco. Within a few minutes of looking under ledges around the edge of this rocky plateau, this was already my favourite dive. 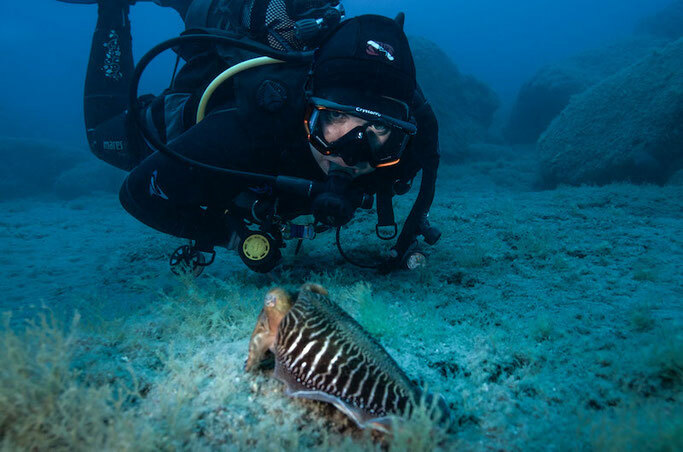 Countless huge rays, frequent Angel shark sightings coupled with swirling tornadoes of grunts, toothy moray eels, nudibranchs, arrow crabs and passing pelagics such as barracuda make this one of the most nature packed dives in Gran Canaria. 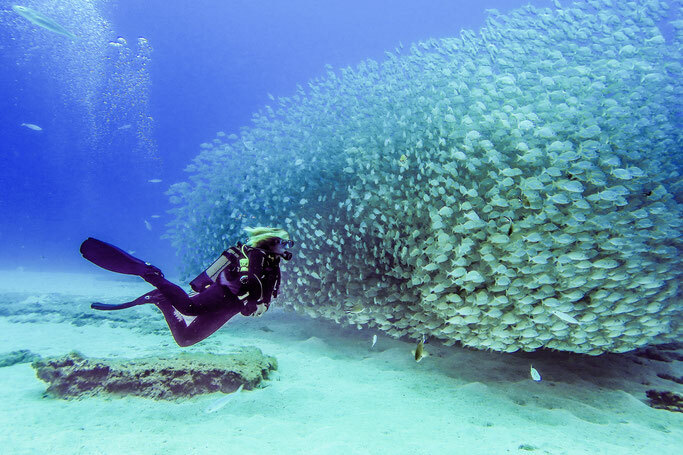 Atlantida is an artificial reef that you don’t even have to get wet to enjoy. 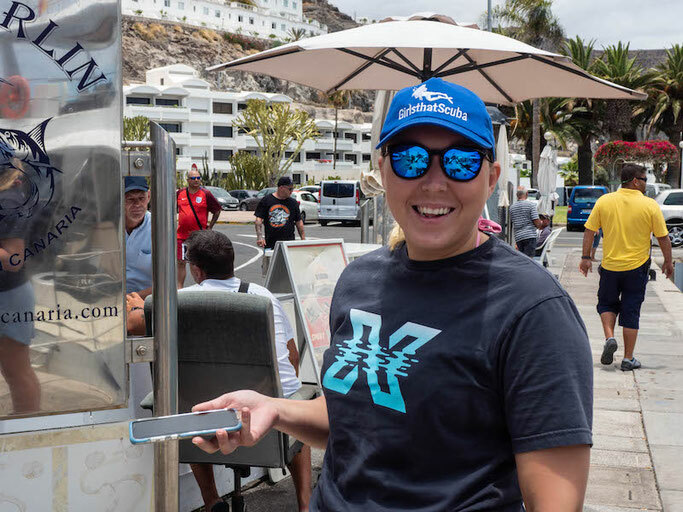 Girls That Scuba were invited on the inaugural dive to mark the opening of this new eco-tourism attraction just a 2 minute boat ride from Puerto de Mogan. Due to degradation of the sea bed from poor fishing practices and trawling over recent decades, there are very few fish in the area and the sea bed was over run with urchins. Concrete structures forming a whale bones, gladiator helmets and roman columns are just a few things to be seen on this dive. Time it right and you could also see a submarine glide past - quite an unforgettable experience as a diver! Other dive sites offer plenty of small wrecks to explore, with the muck diving around the Allegranza giving us huge speckled Butterfly rays and Electric rays buried in the sand. Head to Perchel Caves for intriguing rock formations and you might get luckily enough to see cuttlefish mating dances on a drift dive at Mogan West. There are also plenty of deep dives (30m+) with wrecks for the more technically inclined diver. 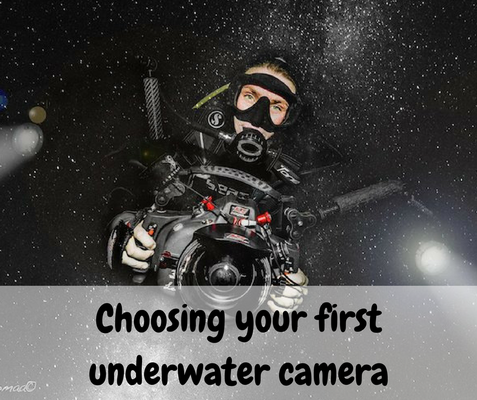 The diving in Gran Canaria is great, and definitely beats a lot of typical dive destinations in the Mediterranean with similar flight times. Blue Explorers is a great place to stay if you want to take the hassle out of your diving holiday and the staff (and the cocktails!) are so fantastic that it’s impossible not to have a great time and thoroughly chill out. Relaxed morning starts, two well equipped but small speed boats and plenty to see underwater make it definitely a place to add to your list.